눈도 귀도 바쁘게 돌아가는 힘든 일상에 많이 피곤하시죠? 여기 그 어지러움 속에서도 20년을 한결같이 한가지 일을 고집하며 그 자리를 지키는 프로페셔널이 있습니다. 정신 없이 바뀌는 유행의 메스미디어 속에서 무엇을 따라가야 할지 모르실 때, 저희 셀리는 과거부터 지금까지 한땀 한땀 정성을 다하여 고객님께 어울리는 스타일을 연출해 왔습니다. 샌프란 시스코에서의 20년 경력, 좋은 제품, 약품, 그리고 최신설비로 고객만족을 실천하겠습니다. 젊은 고객에게는 패션을 리드하는 스타일을, 중 장년층 고객님들에게는 귀품 있고 멋스러운 스타일로 만족시켜 드리겠습니다. Warm greetings from Sally’s Salon! 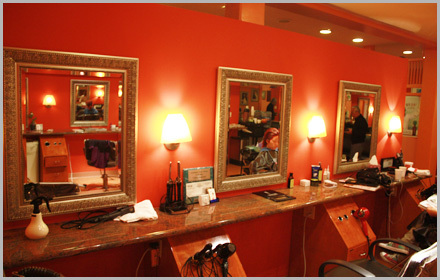 We want our clients to escape from the busy life and tiredness at here Sally’s Salon. We’ve been delivering the most professional & modernist hair style service to our clients with our best effort. For the best satisfaction, we have been serving the best products and equipments to our clients. From our 20 years of experience, we will make each customer to be served the best results with our qualified professional service of modern, luxury and hottest trend hair styles.